I don't know who I'll vote for in November. When it comes to domestic American politics, I'm a Democrat. But Obama is . . . scary. It's not so much the inexperience that bothers me -- although that's a problem, too -- it's his followers who scare me . . . He's so charismatic, he's got all these people wrapped around his little finger, over what? He could do anything and all these people who love him would just keep wagging their tongues and talking about how wonderful he is. He could stab someone in the back and his supporters would keep saying "but he's so GREAT." No, he's not so great. He's just really, really charismatic. And yet . . . if his policies are more or less in line with mine, I suppose it doesn't matter what the masses do, what matters is what I want the president to do. But . . . but . . . there are alllll these people telling me, with complete confidence, that Obama would be terrible for Israel. And if I voted for him and that turned out to be true, I'd feel like such a heel. And . . . when it comes to Iraq, I'm more right-leaning than left-leaning, though it's a complicated situation and I wish the Republicans would show a little less hubris and a little more reflective thinking. And seriously, when you look at where the candidates are right now with their plans for Iraq, how much of a practical difference is there? I don't see so much, even when I squint at it. "We'll be there for a long time, assessing the situation as we go, it's really important not to create a power vaccuum, blah blah blabbity blah blah blah." What it really means is "neither of us has any clue what to do with this mess. Who really can say what will be?" And . . . I don't think anyone who says "this candidate is better for Israel" or "that candidate is better for Israel" truly has a crystal ball. Almost everyone I know who is a right-wing Jew vis-a-vis American politics is still saying that Dubya is "so great for Israel," forgetting that the very Gaza disengagement they think was horrible happened under W's watch. Israel will do what it wants, when it wants, and America will exert pressure this way or that no matter who is in the Oval Office, because --I really believe this -- God has more control over the situation than the President of the United States. You seriously never know what will happen once someone is actually in office . . . just look at Ariel Sharon. And . . . a disturbingly high number of people who are telling me that Obama would be bad for Israel actually still think he's a Muslim. Hello, people! He is not Muslim, he's Christian, and your ignorance of that fact is not raising my confidence in your opinions. Not that his pastor is anyone to write home about, either, but let's at least get the religions straight. And . . . how could I vote for McCain? He stands for just about everything I hate, except -- if my Republican friends are to be believed -- for his alleged support of Israel. See above. I do not put my faith in John McCain. I put it in God, and in ourselves, and simply hope and pray that America will continue its friendship of us. The practical difference, vis-a-vis Israel, between Democrats and Republicans is much smaller than most Israel-supporters really care to admit. And that difference can be erased completely, on the practical level, when Israel decides to do whatever the hell it wants, which it often does (and I'm glad of that, at least philosophically). And now he picks Sarah Palin as his running mate. Do I really want someone in the Vice President's seat whose total experience in governance includes a few years as the mayor of a town whose population is roughly equal to that of the undergraduate population at Columbia University, and 2 years as governor of a state whose population is roughly equal to that of Fort Worth, Texas? Do I want such a person to serve as President of the Senate, and to be first in line for succession to the Oval Office? Especially if that person is fervently anti-abortion choice? I've seriously considered not voting at all, but I don't want everyone else to be picking from between the two terrible choices. I should let my voice be heard, etc etc. But I just know that whether I vote for McCain or Obama, I'll come back from the post office feeling dirty, like I need a good long shower. I know that many of you think I lead a glamorous life, working in cafes and getting to do fun stuff for free. I want you all to know that such “glamour” has a flip side – and I’m not talking about the fact that my income goes up and down like a yo-yo. A certain publication for which I write often is coming out with an issue soon on “Israel Travel,” and I have the good fortune of having been assigned several stories for it, which is how it came to be that last week I went to Tiberias for three days on someone else’s tab. I love Tiberias. I try to go there once a year to sit on the banks of the Kinneret and swim in its cool, sweet water, and generally enjoy the change of scenery. The North of Israel is just gorgeous! I usually go to Tiberias in September, after the busy summer season is over. But for this work assignment, I had to go last week while certain tourist attractions were still open. To fully appreciate how much I did not feel like going, you have to understand that last Shabbat I was sick, so sick that I cancelled my weekend plans with Sparky, and lay in bed drinking plain chicken broth from my crockpot. On Sunday, still suffering from, uh, gastrointestinal difficulties, I forced myself to pack, haul myself into a taxi and then onto a 3-hour bus ride to Tiberias, sweating the whole way and wishing I was dead. And then there was Tiberias itself. If you read Treppenwitz, you may have guessed that last week everyone in Israel – everyone – had taken their families out on vacation. It was the infamous week after camps have ended and before school has started. The town was crawling with Israelis, as if the city were a pile of lunch leftovers and the Israelis were ants. The restaurants were all crowded, the beaches were crowded, the boardwalk was crowded, and I had to get everywhere by foot or by taxi, in the 40-degree (Celsius) heat, because I had not been given a budget for a car rental. 1- You know how Tiberias has lots of religiously important people buried there? And people do pilgrimages to pray at the burial sites of these important and inspiring people? And each memorial site has its own character? Well, I do not know what Rabbi Meir ba’al HaNess did to deserve such a thing, but the entire area around his grave smells like the dark underbelly of an ill-regulated shuk. Perhaps this is because it is a shuk, with a line of food and souveneir shops leading to the actual sanctuary, and a row of picnic tables where families were picnicking – and leaving their leftovers behind in the heat. Seriously, haven’t these people heard of garbage bins? I mean, it’s nice that Rabbi Meir ba’al HaNess’ grave has such a festive atmosphere, with music blaring and vendors yelling how cheap their passionfruit ices are, but seriously. It smells disgusting. Toward the end of my last day, I called my friend Beth and nearly burst into tears on the phone. Thank God, Beth knows when to argue and when to just let me talk because I don’t really mean it (or she thinks I don’t). From now on, Tiberias waits until September, and I insist on a car rental. The funny thing was when I got back and read about the great time Treppenwitz was having on vacation. Trust me, from any one blogger you get only part of the story! Posting may be light for the next few days. Will be back on or before Wednesday. After spending 4 years developing a relationship with my haredi (ultra-Orthodox) relatives in the "Bais Yisroel" neighborhood of Jerusalem, I took the opportunity, since my roommate is away and allowing me to use her room for guests, to invite two of the children over for a sleepover. I'm not sure why I did it. I guess part of it is, frankly, that I'd love to get those kids slightly out of what we call their "daled amot" -- the small piece of the world that is familiar to them. And partly it was because it gets uncomfortable, and boring, always being the one to join them in their world, and every so often I'd like them to come join mine. I was pleasantly surprised when the parents -- he learns full time at the Mir, she's a full time mom to ten children -- agreed to come to my housewarming party a couple of months ago. They were extremely out of their element, but they came, and they were gracious. So I was only almost as surprised when they agreed to let Batsheva, 12, and Rochela, 8, sleep over. I'd made it clear that I don't expect them to eat my food. I've been on the other end of that. When I visit my secular relatives, I deeply appreciate the fact that they assume we'll eat out together, and they don't make an issue of the fact that I won't eat anything cooked in their dishes, since they don't keep kosher. I like them a lot, and am glad that, on the surface at least, they don't take it personally. So I'm trying not to take it personally that my kitchen is not kosher enough to feed these girls from. I treated the situation exactly the way I'd want a secular person to treat me: asking detailed questions about what's OK and what's not, accepting that it's just easier for them to bring their own food than to worry about what's in mine, and enjoying their company without letting kashrut issues get in the way. I have to admit, though, that sometimes I really just want to roll my eyes. If the badatz chatam sofer hashgacha is "well, I guess it's OK. It's just orange juice, right? That should be OK, I guess," then we are dealing with a world of kashrut totally out of my league. But again, I'm trying to remember that this is just as uncomfortable for them as it is for me when I'm in their place. They are probably as deeply concerned about not being rude as I am when I'm in their shoes. The more practical issue was what to do to keep these girls entertained. It took me a week to hit on activities that a) can be finished with quickly on Friday morning so I can get other stuff done, b) don't cost a fortune, c) will be acceptable to their parents, c) won't be deathly boring for me, and d) aren't the same things they do all the time. The kotel was out because they live closer to it than I do and go all the time. I thought about asking if the Israel Museum kids' section or the Science Museum would be alright, but it's pricey AND time consuming. Movies are absolutely, positively not an option; I didn't even ask. I did ask if I could give them manicures and the answer was no. In the end, here's what we're doing: they showed up today at around 5:30. I think this is the first time they've ever been in this part of Jerusalem at all; when I tried explaining once where I live, the parents were like "anything south of King David street, we don't know from." I was impressed that the girls were OK taking the bus by themselves, when they'd never been in these parts before. They just took careful notes from me about where to get off, and they did it all on their own. Anyhow, after they got settled we painted some crafts projects. They are very sweet girls and really got "into" it. Then we went to the local playground and ate a picnic dinner, and they played on the apparatus -- where they were surrounded by secular and dati leumi kids. They cooed over an adorable little Ethiopian baby, and we had an opportunity to talk briefly about the issue of dogs, and why they don't like them (charedim here in general are petrified of dogs). Then we came back to my place, and glued all sorts of chotchkes onto our crafts projects. Here's a picture of them drying. Aren't they beautiful? We really had a great time and made a huge, funtastic mess! Next up was playing with my computer, which fascinates them. But what could I show them that would be acceptable? I pushed the envelope by asking if they'd watch women's gymnastics (olympics/ on YouTube) and they said no, it's not OK. So we watched YouTube videos of my nephews doing various hysterical things, and then I Google-searched "Torah games" and we did a few online parsha quizzes. They are now in bed, after having ascertained by calling their mom that it was OK to use my Colgate toothpaste. They are talking quietly and reading my copies of the Hebrew versions of "Winnie the Pooh" and "Charlie and the Chocolate Factory," which may or may not be OK, but at this point I'm not calling their mom to ask if oompa-loompas are treif. I have the feeling that the girls themselves would put the books away if they found anything they knew to be "problematic." Anyhow, so far they've been truly sweet, well-behaved, and affectionate, hugging me over and over and telling me that it's so fun to come visit me, so I'm glad. Tomorrow the plan is to make home-made playdough, and then I put them back on the bus to go home. So far I'm not regretting this sleepover idea. The International Jewish Bloggers' Conference tonight was interesting and fun; more about that another time. 1- Clothes. In the five years I've lived in Israel, I've bought about 3 clothing items here (not counting sandals and boots, of which I've bought many pairs). I go clothes shopping when I visit the States. Part of the problem is that the clothing here is cheaply made and the fashions have a slightly different "look" to which I have not (yet?) personally acclimated. But the more pressing issue is that I do not know where to find flattering clothing in my size, whereas in the USA I know exactly where to go and what to try on. 2- Makeup products and multivitamins, which are available in Israel but at twice the price. In a pinch I buy it here. 3- Oil of Olay and Noxema - Not sold in Israel that I've ever seen. 4- English-language books and magazines - available in Israel, but at much higher prices (if bought new) and in less variety. Oh, how I miss Borders and Barnes & Noble. Oh, oh how I miss them! 5- Q-tip brand q-tips. Because . . . well, quality q-tips just make me feel better. If I run out of the American ones, I buy Israeli ones, but . . . it's just not the same! I also bought my laptop in the States, long after I made Aliyah. But that was a mistake. My new policy is to buy technology here in Israel, so that the warranty will allow for repairs to be made locally, or exchanges if it comes to that. It's ridiculous to have to mail a laptop back to the US for repair, or to not be able to get a part right away because they won't mail it abroad. It's not worth the money you save getting it more cheaply in the US. 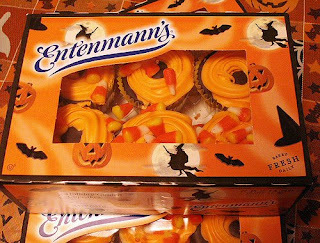 There is, however, one more thing I would really love from the States, which I couldn't find there on my last trip, to my great disappointment: Entenmann's brand cupcakes. I would do anything for the ooey gooey goodness which is an Entenmann's cupcake. Do they still exist? I looked everywhere. In 1978, Yael was one of the participants at my 6th birthday party. It was held in my backyard, and we had cake and ginger ale, and everyone got a balloon in the shape of a girl. I wore my fancy long white dress with red polka-dots and white ruffles. The backyard location was lucky, because I was the first to taste the apple juice, and discovered that my mother had, by mistake, bought apple cider vinegar instead - and I spit it right out! Thirty years later, I celebrated my 36th birthday at the new Italian place on Emek Refaim Street in Jerusalem, Luchana. On the table were the "Luchana Salad" with pasta, grilled veggies, lettuce, mozzarella, and salmon; a peppardella dish with cream sauce; and one serving of a chocolate mousse cake (with a sparkler in it!). I wore clothes I'd paid for myself, and we were offered wine. The participants were my former roommate Penina . . . and Yael. As Penina said, I hope Yael and I will celebrate my 66th together, in another 30 years! I'm mostly feeling better, thanks. My former roommate, Penina, is in Israel, and since my roommate, Liza, is in the British Virgin Islands (poor thing), Penina is staying with me. I'm so happy to be able to offer a proper "guest room," instead of floor space like in my old apartment. Shabbat was very busy. On Friday, Penina and I cooked and cleaned up a storm. On Shabbat day, first I brought Penina to prayer services because she wanted to say birkat hagomel, after a small car accident she had last week. Then we walked uuuuuup the hill to a singles' kiddush. Then dooooooown the hill to my place, where I hosted lunch for several guests -- some of whom stayed until 6:30 pm! What a day, what a day. This week: I'm pitching stories to several magazines and working on two stories for the Jewish Week and one for the WJD. I could use more work, if anyone wants to hire a writer/editor. And . . . tomorrow is my (English calendar) birthday! I will be "twice chai" years old. Feels a little weird. If you are interested in giving Chayyei Sarah a birthday present, I certainly would never refuse! (But you don't have to buy me a present to enjoy my blog. All are welcome.) I could really use gift certificates to this site, or help in saving up for a sofa (see the sidebar). Coming up in a future post: How my friend Elizabeth reacted when she came face-to-face with an armed member of the Popular Front for the Liberation of Palestine. The story is surprisingly funny, actually, and surreal. Truly strange things happen in this part of the world -- especially, I must say, to Elizabeth. 1- I spent a few hours with "Sparky" yesterday. She's holding up OK, all things considered. She's got a very strong will to be OK. We went for lunch and to Sefer v'Sefel, among other things. There was a possibility of a certain family taking her in, under a foster care situation (which has since fallen through), and Sparky said something I thought was heartbreaking: "It's nice to know that there is possibly, maybe, a chance that someone will want me." How does a person respond to something like that? 2- I'd like to drum up more responses to my last post, and am thinking about turning it into a "poll," in which people can, say, choose their top three choices. Anyone know how to do that? I'm sure there are programs available to create that for me in Blogger, but where? 3- This blog made me laugh so hard, I cried. Well, what SHOULD Israel do? Interesting and savvy change of tactics by the senior negotiator for the Palestinians. So, here are Israel's choices vis-a-vis the Palestinians of the West Bank (or whatever you want to call the Arabs who live in Judea and Samaria, and live under Israeli sovereignty but don't have citizenship). Please let me know which you'd vote for, and why, taking into account which options are most plausible. Please keep the discussion civil. Anything I deem to be not civil will be deleted without explanation or apology. 1- Status quo indefinitely, until something miraculous changes, or Israel is beaten in a war. Or just, forever. 2- Try to convince Jordan to re-absorb their former citizens, and force the Palestinians into Jordan (probably won't happen because Jordan won't agree, and Palestinians won't go quietly, but it's theoretically an option). 3- Try to convince Jordan to take over control of most of Judea and Samaria, giving the settlers there Jordanian citizenship (rumor has it that this, or #4 below, has been tried when Israel negotiated the Jordan peace treaty, and Jordan refused. However I've only heard this on the rumor mill and never saw it in a newspaper report). 6- Give Palestinian Authority control over West Bank (ie Palestinian State), negotiating Palestinian citizenship for the settlers. I've been pitching various stories to some pretty "big budget" publications. The way freelance journalism works is that the amount I'm paid depends entirely on the budget of the publication hiring me. I can do the same amount of research and write the same number of words at the same level of talent for two different magazines or newspapers, and get paid four times as much (or more) by one as by the other. I've been dreaming of getting into travel journalism (haven't we all . . . ). This week the editor of a chi-chi travel magazine told me that she wouldn't "rule out" publishing something about Israel, but I shouldn't get my hopes up because it's not a "high image" destination (ie, it's not on the same level as, say, Barbados or Tuscany). Clearly the efforts by the Ministry of Tourism to promote Eilat and Tel Aviv as exotic vacation locales have gone only so far. My Shabbat plans: Dinner tonight at Rachel, Gila and Estee's. Lunch at my place tomorrow with Yael. We have leftover coconut milk so I'm trying this recipe. It's simmering on the stove as I write this. Smells good. I just realized that I'll have to leave the sauce on the blech overnight - good thing there's a lot of it. Whatever. It's hard to ruin chicken. So Where are My Spidey Powers? So yesterday I'm hanging out in my apartment, trying to get some work done on the computer while simultaneously cleaning the bathroom (not an easy task, I assure you, which may explain why I was successful on neither count), and acting as an intermediary between my roommmate and some good friends who were generously offering to take in "Sparky" for a few days, when the phone rings and it is not about Sparky -- it's the police. Police: This is Yiftach from the police department. Did you lose a credit card? CS: I don't think so. Let me check my wallet. CS: No, they are all here . . . but a few months ago my bag was stolen, with my wallet inside. Police: Was there a credit card in it? CS: Yes, a few of them in fact. Why? Police: We found someone trying to use your card. Police: We have detained someone, who had your card on him. He was trying to use it. CS: Wow! I can't believe it. It was stolen so long ago. Police: Well, ma'am, we're the police. It's our job. Can you come in? CS: Um, OK. Um. When's the latest I can come? Police: Well, we'd like you to come now. CS: Um. . . . well, OK then, I'll be there in an hour. So I trekked to the police headquarters at the Russian Compound, and watched them load handcuffed prisoners onto a bus in the parking lot until someone from Yiftach's department came to fetch me and show me where to go, and I was ushered into a tiny office where four older and surprisingly jocular Israeli men had their desks. I was shown the card and asked to identify it. They also showed me a little slip of paper with numbers on it, and asked if this was the PIN for my card -- which it wasn't. From the pile of sealed envelopes on the investigator's desk, and the questions they asked, it appeared to me that they caught someone with about 8 credit cards on him, belonging to other people. He probably tried to convince them that he had permission from all these folks to use the cards, and when they asked him to prove it by providing the PIN numbers, he bluffed his way through and wrote something down. Anyhow, I am very proud of myself because I got through all of this entirely in Hebrew. The investigator, though, typed up my written statement for me, with my input, and I just checked the printed version for accuracy and signed it. P.S. Update on Sparky here. At the point when Israel traded vile murderer Samir Kuntar for the remains of Ehud Goldwasser and Eldad Regev, I wasn't blogging so much, so I sort of "missed it" in blogging terms. If I die on miluim [reserve duty] please don't trade my body for a live terrorist. While I Was Blogging . . . Here is what my roommate has been dealing with (and, vicariously, me too). She is a seriously generous and caring person. I hope she is earning major heavenly brownie points for this! Thanks to Rachel M. for driving me to the hospital last night, so I could bring L. some stuff she needed. b) his reasons for not staying in Jerusalem hotels "enter into a level of prejudice which makes me uncomfortable." c) let's "call a spade a spade" and acknowledge that this won't go anywhere. I won't burden you with the contents of his response, except to say that in trying to tell me how much I misunderstood his questions, he demonstrated that I'd been exactly right to nip this one in the bud. 1 - The Importance of Context: I'm of two minds about the fact that he asked interview-like questions before we even spoke on the phone. On one hand, I don't like this business-like dating approach in the Orthodox community. On the other hand, if these are really make-or-break issues for him, then hey, we both just saved ourselves a lot of headache. Good deal for me, not getting emotionally involved with someone and then finding out that he's a male chauvinist bigot! The problem is that many issues become less make-or-break when put into the context of a person's history and personality. For example, racism in my dates bothers me so much that until I overhauled my profile recently, I listed it as a disqualification in my profile. And as you can see, in the absence of any other information about this man, the fact that he showed himself to be that prejudiced was enough for me to end the deal, because anything I might learn about him afterward would be in the context of his being racist. But let's say the issue hadn't come up, and we'd spoken, and met, and really hit it off. Let's say that we'd become really close, and that many weeks after meeting, in the course of an intimate conversation, it was revealed that he's petrified of Arabs and really can't stand them. It would still bother me. But I'd have a chance to find out whether there were mitigating factors. For example, I'd be more understanding and forgiving if it turned out that he or someone he loved had been injured in a terrorist attack. I'd also be more forgiving if he knew that his view was black-and-white, and treated Arabs civilly even though it was hard for him. And even without any of the mitigating factors, if we'd been dating for a long time and I really cared about him, then maybe -- perhaps -- I'd be willing to accept his being racist as a flaw I could live with (I have a hard time picturing it, but never say never). Because his bigotry would be in the context of his being an otherwise good man whom I care about, and who cares about me. That's the danger of bringing up some of these make-or-break things so early, before knowing someone. In relationships, context is everything. 2- The Value of "No" - Not long ago, I would have continued communicating with this person, because in a world where people give up on good guys (and good women) over stupid, picky little complaints that have nothing to do with having a good marriage, I'd been taught to give people the benefit of the doubt, allow myself to learn the "context" described above, and really give everyone a chance. This is good advice up to a point. In some ways it becomes even better advice as one gets older, more jaded, and more bitter. It is so easy to say "no. Not this one. Next!" But it is also important to remember that one reason older daters are often bitter is that we've been pressured to give chances to people who were wrong for us. How often have I been told "it's just one date" or "it's just dinner. How can it hurt?" The truth is, spending dinner after dinner after dinner with the wrong people hurts a lot. I'm not talking about dates with generally reasonable men who, for one reason or another, are not "for me" (or do not think I am for them). If the dating trail involved only good people who weren't an exact fit, but were an "almost," it would be a lot less painful. I've always appreciated meeting such people, and have remained on friendly terms with many of them. I'm talking about excruciatingly wrong dates. Like, dates with men who make it very clear by the first date that they can't even imagine why a woman would prefer to spend time, any time, doing anything other than raising her children (which this guy communicated in a later email). I'm talking about the dates after which I come home and flop onto my bed and groan and wonder what I did to deserve this. There comes a point after which a woman who says "no, I do not want this" is not being picky, or stubborn, or close-minded. She's just valuing her time and her emotional energy. There comes a point after which telling someone "it's just one date, how can it hurt" is cruel and unusual punishment. When it comes to dating, yes, beggars can be choosers. Thanks so much to everyone who commented on my last post. I think I’ll have to tackle this piece by piece. Regarding “Part I,” and the question of staying in hotels where lots of Arabs work, the most fascinating aspect of the issue is that every single person who actually lives in Jerusalem, both among blog readers and friends – all but one of whom self-labels as “right wing” or “center-right” – believes that it is ludicrous to let the presence of Arabs deter someone from staying in a good hotel in the holiest city in the world. The only people in my extremely informal survey who sympathized with this guy’s racism are people who live outside of the city. 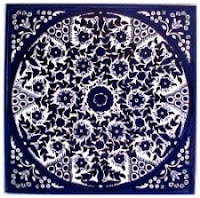 I think it stands to reason that those of us who actually encounter Arabs every day, even if only in service situation and at the mall, understand that the likelihood of being blown up, poisoned, or given the evil eye by any one particular Arab person is extremely low. Yes, the city is very segregated, but we encounter Arabs every day. In my particular neighborhood, they prepare our food, they drive our taxis, they stock our supermarket shelves. And it is obvious to anyone who is exposed to this on a consistent basis that the vast majority of these Arabs are just there to do their job, get paid, and go home. They are no more interested in actually hurting anyone than they are in endangering their employment or, really, doing anything other than living their lives and paying their rent. Of course there is also the Jerusalem worker who killed several teenage students at Yeshivat Merkaz Harav, and the two who used bulldozers as weapons. I’m not naïve. The social, political, and military reality around me leads me to ponder, sometimes, about what really lurks in the hearts of men. Someone is sending their kids to Hamas summer (training) camp. Someone is giving money to the PFLP. This guy who is making a delivery to my favorite coffee shop: what does he say about Israel and Jews when he’s hanging out with his friends? Does he just go home exhausted and watch television for the rest of the night? Does he spit when he mentions Jews? Does he congratulate the mothers of “martyrs”? Does he not really care either way? Does he participate in a peace-effort Israeli-Palestinian basketball club in his free time? Who knows? I “get” why people are afraid of Arabs. And even in the absence of fear, I “get” being uncomfortable around them, because I often am too – not because I assume that this particular Arab will try to kill me, but because it is always uncomfortable to be around people who are different from you, even under the best of circumstances. In my college dining hall (in the United States), it was typical for Jewish students to sit together, for black students to sit together, for a group of Muslim girls to share a table, etc, because it is always easier to surround oneself with others just alike. And here in Jerusalem, it is by far not the best of circumstances. There is active suspicion, and fear, and often hatred. But people have to live their lives. If Jerusalemites let their suspicion, fear, and hatred get in the way of their activities, they would have to shut themselves into their homes and never enjoy what this amazing city has to offer. More about that next week, along, I hope, with a post on "Why Asher's comment is spot on" and "Why the value of supporting one's fellow Jew takes on different nuances in a country where Jews are the majority." Thanks to all my readers for your attention and good vibes!